couldn't you have found a nicer photo, galvatron prime, LOL! he's the best-looking MRF to date, after all! 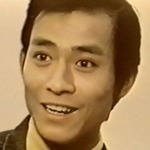 Shek Sau was one of those 1970's and 80's heartthrobs. Born in Hong Kong in 1948. He started acting at the age of eight. 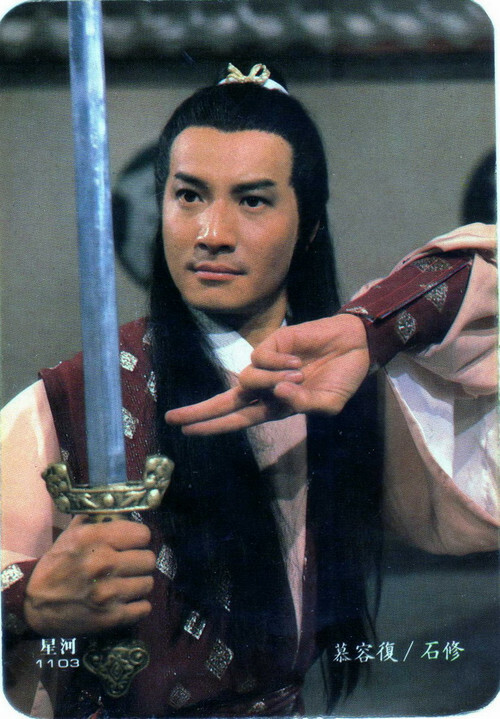 Shek Sau worked for TVB making drama series during the 70's and 80's. He has an unusual flexibility to play modern & ancient characters, comedies, and drama with equal ability. After finishing a motion picture in 1984, Sau opened a restaurant in Taiwan. In 1990, Sau dropped out of the entertainment circle and moved to Canada with his family where he opened another successful business. He came back into acting during 1997, under contract to ATV where he hosted the 1998 World Cup Special and acted in Flaming Brothers along with another two dramas. In 1999, he participated in an US motion picture with William Dafoe and John Cho called "Pavilion Of Women". During 2000, he starred in a TVB drama On The Track Or Off and it was his first appearance on TVB in over a decade. In 2001 he starred in his second series Legal Entanglement, and he also hosts TVB's I-Files with Jacqueline Law. In addition to acting on television, he also performs in plays. Furthermore, he's also a saxophonist and used to sing too. Little trick : Hi, how are you? or Hi, good morning. wanna hear shek sau sing? wow. I didn't know that he could sing. But two years ago when I went to HK, I saw his face on subway advertisement in a kind of cooking show. Apparently besides acting, he's also good in cooking and singing. Shek Sau must be very popular... his thread has so many views! Is it from a series or a movie ? At least a Japanese one, since most of ht pictures show Japanese actors, but it seems to me that I also saw Michelle Yim, or am I mistaken ? I remember to have seen once a clip on youtube where Barry Chan was also singing and it was nice too ! the video says that the song is originally a japanese one called omokage ("vestiges") (面影), the lyrics are by lo kwok tsim. but whether the original song is for a movie, a tv series, or is just a pop song, i have no idea.